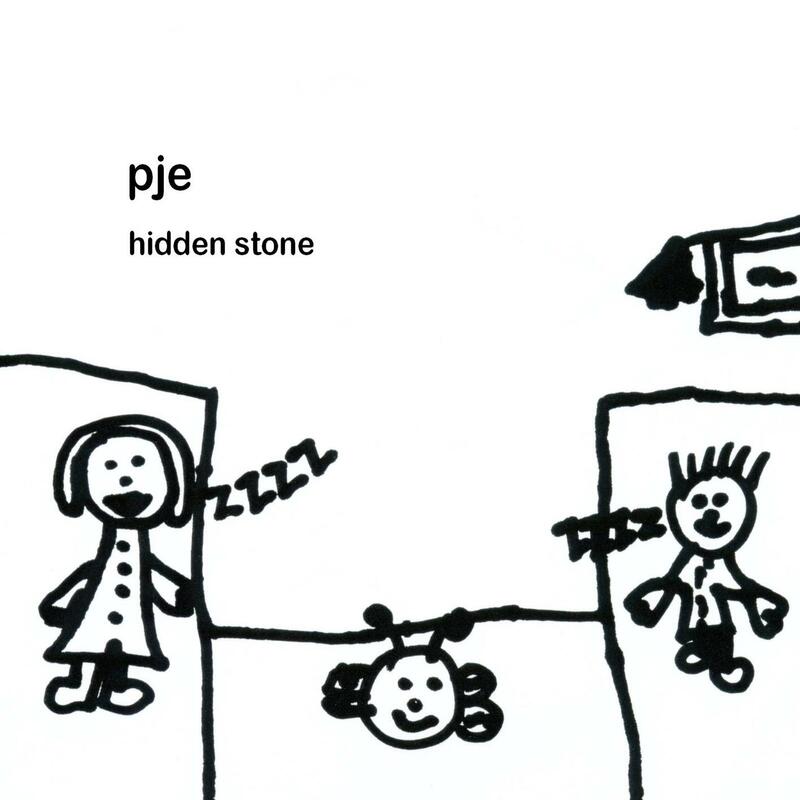 The sound of pje can be uncontroversially described as ambient, but it explores a number of avenues under that rubric. ‘diffract’ has strong drone elements, while ‘scattered’ incorporates a strummed acoustic guitar pattern, and ‘memory key’ is characterised by percussive elements, in a beat that is never quite fully articulated. There is an element of tension, the music hinting at a conventional formal narrative that never gets going: it’s as though we listen to a series of intros, and are left in suspense, awaiting the substance of the music. ‘hidden stone’ has both a beat and a guitar pattern, and works more or less as a piece of chilled electronica, but in truth, the point of ambient music is that it doesn’t possess substance, at least not in the sense we usually think of musical substance. This recording is not a story, or a discourse; it is less a text, even in the broadest Barthian sense, than it is a place. Of course, in semiotics, any cultural construct is a text, and can be investigated as such, but while a wrestling match say, or a garden, can be readily interpreted as utterances, to interpret a work like this in the same way risks misplacing its meanings, which exist somewhere outside the connotative scope of its constituent signs. To concentrate on the sounds and structures of hidden stone almost renders its meanings inaudible: like Rothko’s Seagram Murals, which are intended to be viewed together in dim light for their collective atmospheric effect, this music renders up its content most completely when our concentration is, if not altogether elsewhere, at least diffused, and not engaged in analytically deconstructing its robust yet ethereal soundscapes. It’s best to look away, and let the music sneak up on you. That way you’ll find your head nodding to the final track with its quite emphatic beat, and you’ll wonder how you got there. The atmosphere evoked by the EP as a whole is as gentle and enveloping as might be expected of any music that describes itself as ambient, and timbrally, its predominantly electronic sounds tend towards pads and gentle washes. There is a tension however, and one that might be missed by too sharp a focus on the music’s details: if you can simply drift with it you’ll find that these recordings ask questions, and provoke a state of wakeful contemplation. This is beautiful and intelligent music, with a sense of gentle mischief, which lulls and insinuates as much as it soothes and calms.